A Romantic Cooking on Valentines Day : It’s not a good idea anymore to gift traditional things to your loved ones on Valentine’s Day. Here are a few unique ideas to make it special. Valentine’s Day is not like any other day in your calendar. In fact it is the most romantic day of the year. Obviously you want to surprise your partner with something unique. 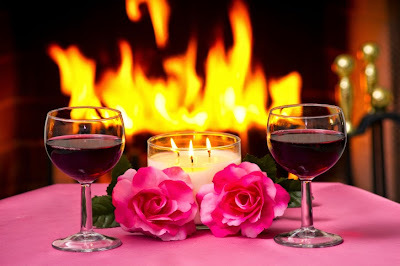 Despite of your busy schedule you are still looking forward to spend some quality time with your sweetheart. If you are planning to opt against the usual gifts like movie theatres, flowers, dinner etc, then, you can plan something special and romantic for your partner this 14th of February, without spending large amount of bucks. How about a romantic cooking experience with just two of you spending some private time together! Celebrate this Valentine’s Day by cooking a delicious meal or dessert with your partner. Enjoy some beautiful moments together in the kitchen while preparing a romantic and delicious breakfast, lunch or dinner. Staying at home on Valentine’s Day yet experiencing the same romantic environment of an outdoor date is something unique. Pull up the sofa in front of the fire or place a blanket in the dining room and have some champagne with ice. Toss some strawberries or pomegranate seeds into the glass to give champagne’s flavor an added touch. Dim the lights and play some soft music in the background and create a perfect romantic environment to your Valentine’s Day celebration. When you’re planning to surprise your partner with a simple and delicious dinner, one dish meal is quite an obvious option. Chicken, rice and vegetables make a great dish as it incorporates vegetables, meat and grains into one meal. Noodles with beef and tomatoes are a great meal too for an easy and quick cooking experience. These are just a few simple suggestions you may experiment around according to the likes and dislikes of your partner. Make a tasty breakfast on the Valentine’s Day morning together and enjoy the homemade breakfast in bed as a romantic start. You don’t have to go to a restaurant to enjoy a romantic candle light dinner- just set up a small table with a dark red or white tablecloth and some candles at your home itself. Capture this moment of a beautiful candlelight dinner at home with just two of you looking into each other’s eyes.